Eugene Jacques Bullard was the first African American military pilot in World War I.
Eugene Jacques Bullard (October 9, 1895 – October 12, 1961), born Eugene James James Bullard, was the first African-American military pilot. His life has been surrounded by many legends. 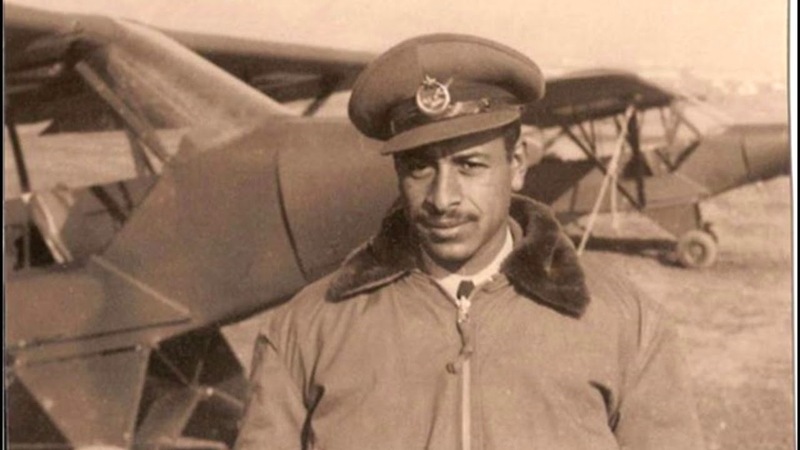 However, Bullard, who flew for France, was unquestionably one of the few black combat pilots during World War I, along with William Robinson Clarke, a Jamaican who flew for the Royal Flying Corps and Ahmet Ali Çelikten of the Ottoman Empire. Ahmet Ali Çelikten of the Ottoman Empire. Bullard was a man both proud and humble, and his business card reflected that. But it also reflected the world in which he lived. His was not a first that had been formally recognized — much less celebrated. The story of how Eugene Bullard became the first black combat pilot, and why his achievement stayed in the shadows for so long, is a tale of alternate realities, of what happens when opportunity is offered or denied — and, ultimately, seized regardless. 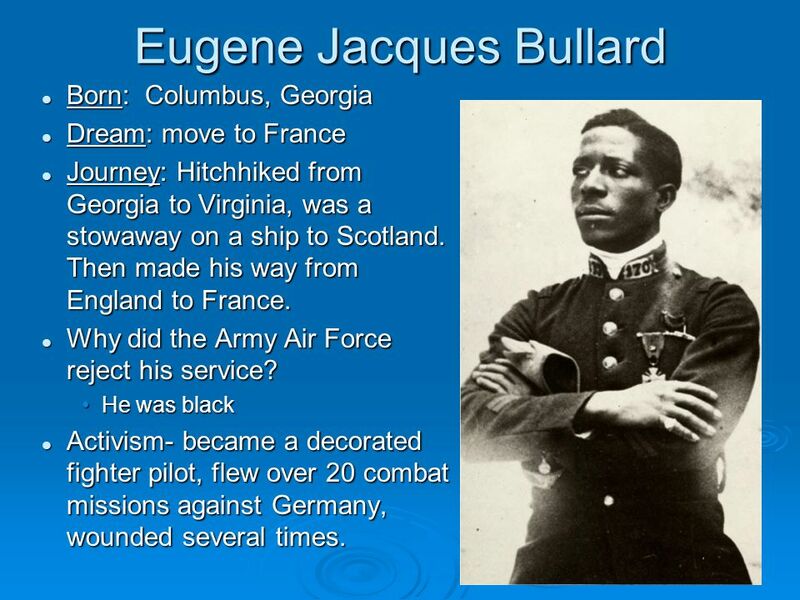 First African-American enlisted pilot, Eugene Bullard. Born in Columbus, Georgia in 1895, Bullard would recall that as a child, he was “as trusting as a chickadee and as friendly.” For a while, his parents were able to insulate him from the realities of racism so that he “loved everybody and thought everybody loved me.” But they could only do so much. When Bullard’s father got into a fight with a racist supervisor, a lynch mob came to the house. Bullard’s father survived, but was forced to go into hiding. Dreaming of a place “where white people treated colored people like human beings,” Bullard decided to run away. Accounts vary, but he was likely only 11 when he left home. 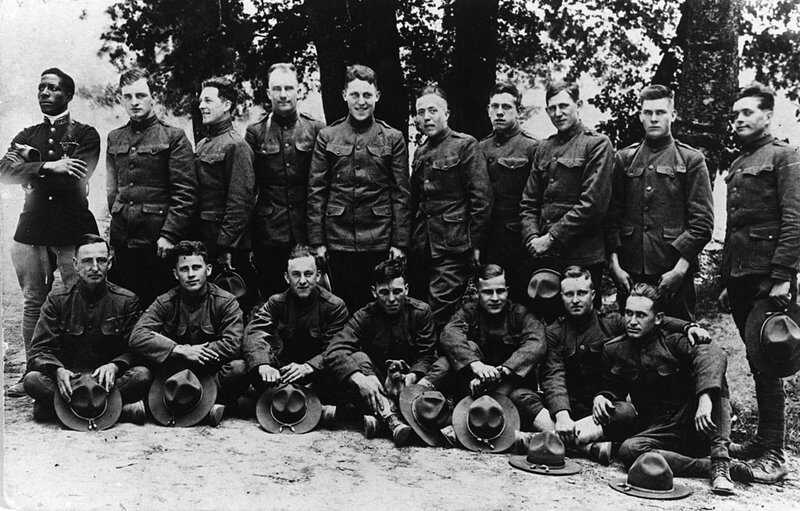 Eugene Bullard (far left) in a group shot circa 1914–1918. Courtesy of the U.S. Air Force. For the next five years, Bullard roamed around Georgia, encountering kindness and cruelty from a wide cast of characters along the way. At one point, he joined a band of English gypsies who opened his eyes to the possibility of a better life for African Americans in Europe. Crossing the Atlantic would become Bullard’s new objective; in 1912, at the age of 16, he stowed away on a ship leaving Norfolk, Virginia for Germany. It dropped him off in Scotland, where people treated him “just like one of their own.” Within 24 hours, he was “born into a new world” and “began to love everyone” once again. 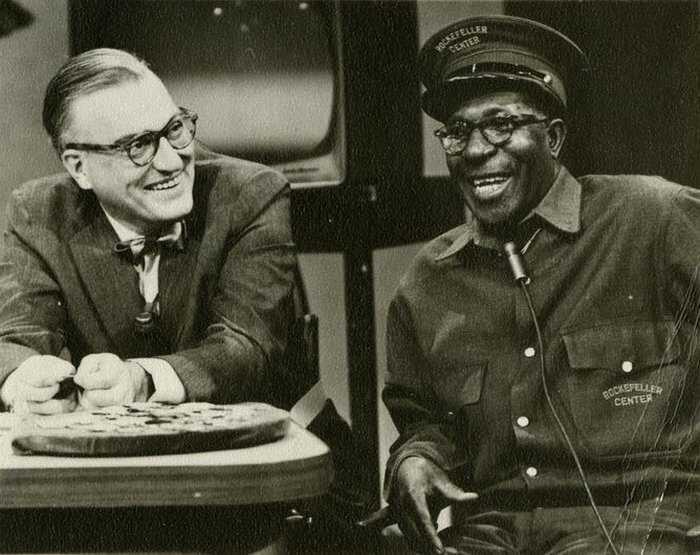 In 1959, Bullard appeared in his elevator operator’s uniform on the Today Show. Courtesy of the U.S. Air Force. From Scotland, Bullard would make his way to England. He took whatever jobs he could find, including: street performer, dock-worker, target for an amusement park game, helper on a fish wagon, and boxer — the last of which would eventually take him to France. Bullard was instantly smitten, recalling later how “it seemed to me that the French democracy influenced the minds of both white and black Americans there and helped us to act like brothers as near as possible.” France would become so important to Bullard that he would rewrite his own biography to imbue his arrival there with a sense of destiny; in Bullard’s memoir “All Blood Runs Red,” his father has French roots, and it is the dream of France that pulls him away from Georgia in the first place.